Last week, I came as close as I will ever come to being an Olympian…and did so by holding a genuine Olympic medal in my hand. Kayla Banwarth, the libero for the USA Women’s Volleyball team, is from our town. 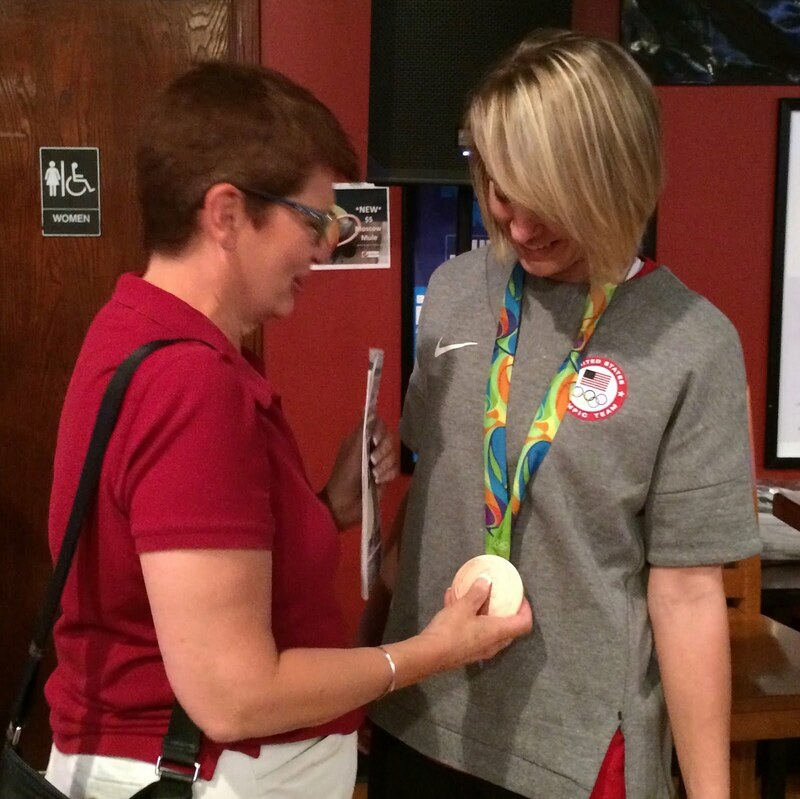 It’s a big deal to have an Olympic medalist in our midst, so there was a reception to congratulate her. I, along with about 1000 of my ‘friends’, showed up to acknowledge her accomplishment. She was quite gracious, and spent several hours signing newspaper articles, volleyballs and jerseys, as well as posing for countless photos. While she kept the medal firmly around her neck, she did allow us to hold it in our hands and personally discover how incredibly heavy it is. Kayla and her teammates may not have won a gold in Rio, but her words of advice are golden for all of us. I recently spoke with someone who just received a resignation from a key staff member. He was discussing with me whether to have someone fill the position on an interim basis, or to appoint multiple people to assume responsibilities during the vacancy. I was struck at how freely resources flowed to solve a problem, rather than to enhance the area that has strength. A well-run area will languish if left to less than optimal oversight and support, while it is less likely that a problem will be solved by throwing copious amounts of money at it. Yet, it is a natural tendency and people do it all the time. The whole StrengthsFinder and strength movement developed because research shows that playing up your strong points will take you further than working on weaknesses. Expanding on that A in English will prove more fruitful that trying to bring the D in Math up to a B. Forcing someone to become a “detail person” will backfire if their real gift is in extemporaneous public speaking. Asking a staff member to be less blunt may not get you as far as embracing their role as a truth teller for improvement of the organization. You should not assume well run areas will continue to be strong without on-going attention. I believe within your “areas doing well” lies your greatest opportunity to grow, develop excellence and make a significant difference. You’d be wise to put your resources there instead taking success for granted. Even though my house is fairly new, the air conditioner stopped running last week. The repairman came, had to come back in a day because the unit was frozen up, had to order a part, and then came back four days later to replace a major component of my system. Let’s just say it was not cheap. I now have a new aluminum coil, to replace the one made of copper. The technician explained to me that several houses of my age have had this problem. When the houses were built copper was at a premium price; therefore, the coil manufacturer decided to devise a way to use a bit less copper. In doing so, they make the coil thinner — which made it more susceptible to pin holes. Eight years later, coolant leaked out of one such hole and left me with my problem. I would guess that at the time, some engineer was rewarded for finding a way to save money and make the coil using less resources. I doubt they intentionally made a flawed product, but it seems they produced one nonetheless. Think about this in your organization when you are on a quest to save money. Have you thought about the long term implications of your frugality? Are you prepared to risk your reputation for short term gain? We say not to sweat the small stuff, but it only takes a pin hole to render a product worthless. Earlier this summer, I attended a festival that was so negligent in its (lack of) recycling efforts that I went before the city council to express my dismay. How delightful it was then to attend not one, but two, events in total contrast to the environmental disregard. 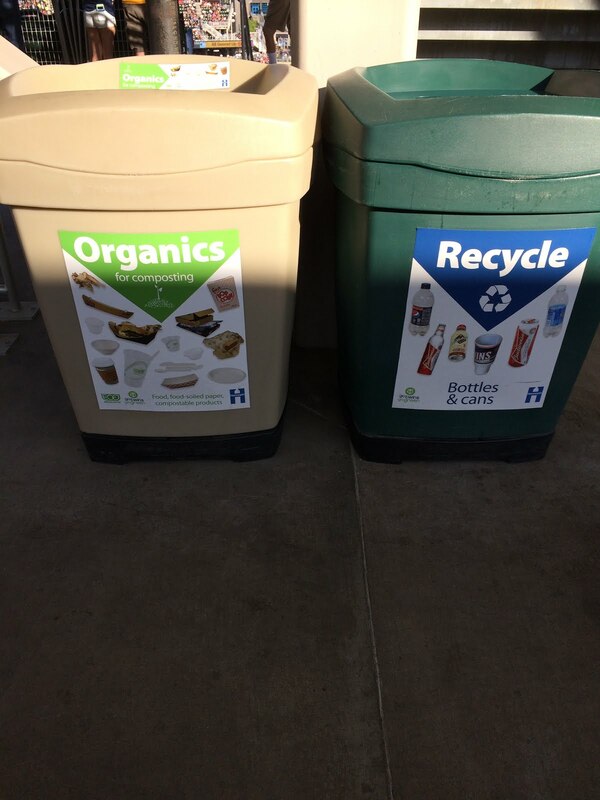 I went to a Minnesota Twins game at Target Field and was astounded to find that “the Twins are working hard to be completely green.” The ballpark recycles just about everything — including organics — and makes it easy to do so. In fact, I had to search out a trash can because they are hidden off to the side, whereas the organics/recycle containers are prevalent. The Twins even recycle the paper towels from the restrooms! 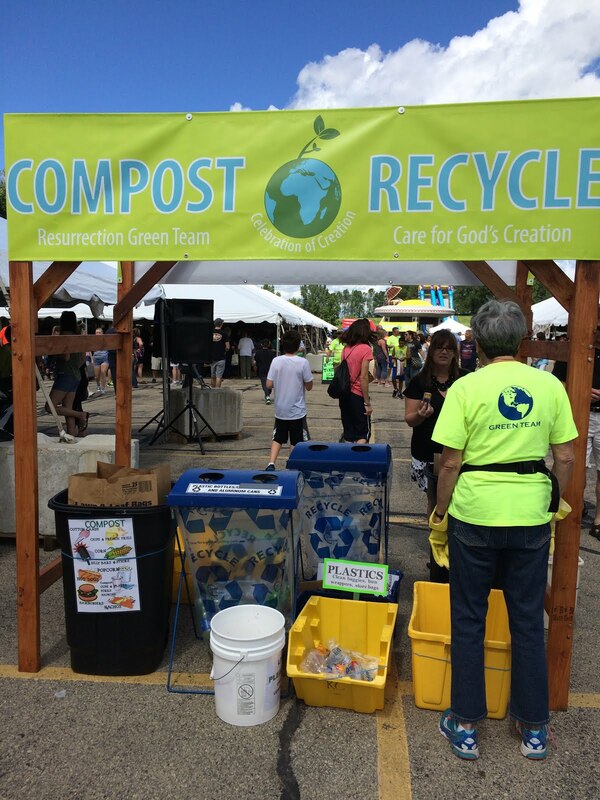 My second environmentally friendly event was the Church of the Resurrection Festival, where the volunteer “Green Team” did all they could to make the event produce zero waste. There was a compost/recycling station on the “midway.” The dinner used biodegradable utensils and plates and composted the food scraps. Tickets from the games were recycled. There was not much that wouldn’t fit in one of the many bins in their station, and they staffed it with Green Team members to encourage participation. I applaud the forethought it required to fully support the environmental actions, and the commitment to make it work on-site. Let’s hope some of my hometown festival planners attended these events and turned green with envy at how far others progressed in preserving the planet, and that your organization uses them as models for how large scale events can limit waste. We’ve all heard about — and likely even experienced –the dreaded government bureaucracy. It seems like there is so much red tape, endless phone menus and a black hole where suggestions often go to die. Inaction is exacerbated in the current political climate, so my expectations for change are low. Thus, imagine my surprise when I received an email from the Social Security Administration telling me that they listened to consumer concerns and rolled back a mandate! On July 30, the agency required a two-step authentication to log into Social Security accounts, thereby requiring a text message to be sent to a phone before accessing the site. Apparently the updated technology did not sit well with the clientele that most typically uses Social Security, and they complained — loudly. Believe it or not, on August 26, the agency went back to its original log in process. It took less than a month for a major governmental agency to admit that it inconvenienced some of its users, revert back to a more simple practice, and even apologize for its actions! If the Social Security Administration can pull this off, surely your organization can allow common sense to prevail as well. I recently heard a speaker share stories about his four month old granddaughter. He was marveling at how she was a yoga expert, able to grab her toes and stick them in her mouth or pull her leg behind her head. Such exploits, he noted, would put him in the hospital in traction, but for his granddaughter it was the most natural movement. I think it is a good metaphor for generational differences in the workplace. The younger or less experienced people bring to the organization an agility that is hard to replicate. They are able to do things, with ease, that would throw more seasoned workers for a loop. They can maneuver — through social networks and technology, but also through many other thought processes — with inherent and instinctive grace. And yet, they have a hard time thriving on their own. Like Phil’s granddaughter, the organizational infants need structure and guidance from their elders. The seasoned employees can keep the newer ones from putting their foot in their mouth when it wouldn’t be a charming kid thing to do. The young need a context and framework to anchor their thinking and some experience to point out the known food sources. People at all stages of the life cycle bring gifts and abilities that only occur in one phase of time. Embrace the generation you are in and all that it offers. In his book A Whole New Mind, author Daniel Pink theorized that we were moving from an economy that depended on left brain, sequential thinking to one that valued right brain creativity and synthesizing. To foster these right brain traits, he advocated doing more of six things, including play. “Lightheartedness, humor, games and laughter are critical among the seriousness,” Pink wrote. A Harvard study takes this line of thinking a bit further and suggests that not only does play help us become more creative, it also contributes to people being more generous and ethical! And all it takes is “reminders of children, infant to age 8 or 9” to trigger this behavior. This could include something as indirect as a child care center, nursery or kindergarten within a two-mile radius of the office. “It is not only the presence of a child;…it’s the idea of a child” that makes people behave differently. Think about what you could do to create a climate that fosters play and reminders of children. Covering some meeting room tables in butcher paper and supplying crayons. Having “mind games” and toys available while people are waiting. Being intentional about the artwork that graces your walls. Encouraging pictures of family and perhaps your youngest clientele. Offering child care on-site. There are many simple ways to add a child-like element to your work space, and now you can add generosity and ethical behavior to the list of what you gain by doing so. Maybe you should take advantage of the back-to-school sales to stock up on bargain crayons and Play Dough to add to your meeting room! Thanks to Jennifer Henry for sharing.